James is a Director and heads up the Retail and Leisure team Legat Owen having joined the Company as a placement student in 2005. He advises occupier and landlord/investor/developer clients on matters including leasing, development and investment. James has a particular focus on retail including Shopping Centres, High Street and roadside, but has more recently taken on more of a ‘general practice’ role. Current shopping centre instructions include the Spinning Gate Shopping Centre, Leigh; Flintshire Retail Park, Flint; Burton Place, Burton upon Trent and The Walk, Ebbw Vale, whilst recent investment transactions include the sale of Evans Easyspace, Chester, Trent Boulevard, Nottingham (let to Co-Op) and the acquisition of 48-50 Beam Street, Nantwich (let to Dominos, Shelter and Children’s Society). He also has experience in development matters and acts on behalf of both landlords and house builders/developers and recently advised on the lettings of Countrywide Farmers/OK Diner at Oswestry Gateway together with land sales to Galliford Try and Aldi. 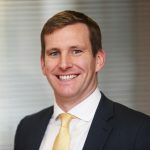 James is also a member of the Chester Growth Partnership and is actively involved in promoting investment throughout the city to the rest of the UK and abroad. Outside of work James can usually be found outdoors somewhere and sits on his local Parish Council. Sandy joined the practice in 2018 after becoming a member of the Royal Institution of Chartered Surveyors by completing his assessment of professional competencies whilst working in Liverpool. 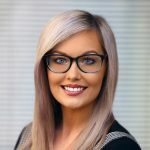 Sandy now specialises in retail agency and property valuation, and is responsible for a number of properties in the North West/North Wales area. Sandy is a keen football player and fan, and attempts to get on the ski slopes when he can.